The food system is multi-disciplinary and complex, involving agroecology, agronomy, anthropology, economics, nutrition, sociology, and the arts. In this course, experts on organic agriculture, school lunch reform, food safety, hunger and food security, farm bill reform, farm-to-school efforts, urban agriculture, food sovereignty, and local food economies will offer perspectives making the food system more sustainable and equitable. Dates: Lectures will take place on Monday evenings of the Spring 2015 semester, beginning January 26th, from 6:30 to 8:30 PM PST. While in person attendance is only open to UC Berkeley students enrolled in the course, each lecture will stream live on the Edible Schoolyard Project’s YouTube Channel and will be archived on the Edible Schoolyard Network. Sign up here to receive weekly notifications, including livestream details and screening events. “Agroecology as a Transdisciplinary, Participatory, and Action-Oriented Approach” by V. Ernesto Méndez et al. 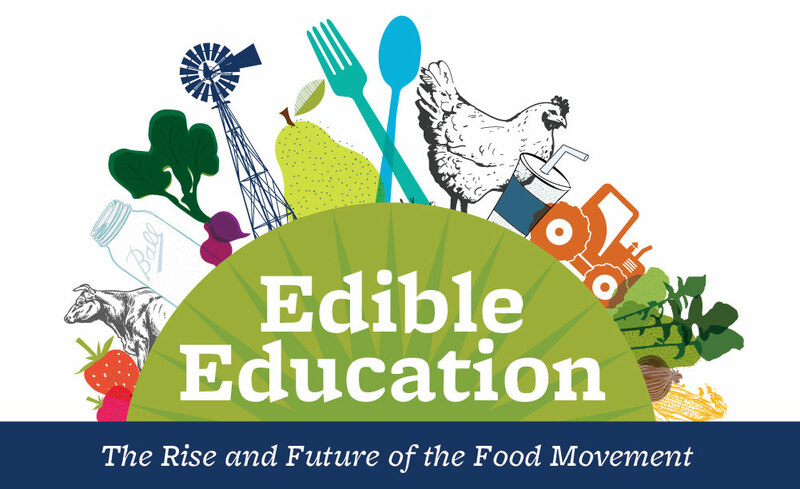 Sponsors: Edible Education 101 is presented by the Edible Schoolyard Project, UC Berkeley Food Institute, College of Natural Resources, and UC Global Food Initiative with support from the UC Berkeley’s Chancellor’s Office and the Epstein/Roth Foundation. Illustration by Julie Van Scoy.